Mary’s on a mission to infuse more meaning into her work this year. It’s important to do meaningful work without regard to monetization. While Steve’s is contemplating going back to it being all about the money. What can you do to infuse more meaning in your work? 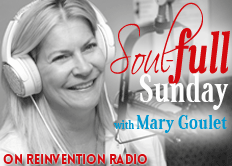 @MaryGoulet is on a mission to infuse more meaning into her work. Find out how.